On March 29, 2016 the White House issued a press release regarding its new heroin initiative. The Washington Post described how much President Obama proposed to do. The long list of fixes and new public-private partnerships relate almost exclusively to treatment. The 1 billion dollars, the President said, will treat “tens of thousands” of addicts. Mr. President, one billion dollars won’t make a dent in the U.S. heroin epidemic! The most recent estimates indicate that 4.5 million Americans were addicted to illicit drugs. (The Opioid Addiction 2016 Facts & Figures report by the American Society of Addiction Medicine). Public Safety Aspects of the Heroin Epidemic (2015) a A Pew Charitable Trust report, acknowledges that “Heroin Use Estimates Vary Across National Databases.” In other words, there are no accurate data for the scope of heroin use and addiction. An analysis by the Centers for Disease & Prevention (CDC) and the FDA of the data gathered by the National Survey on Drug Use report by U.S SAMHSA (2015), shows that since 2000, the rate of deaths from drug overdoses has increased 137%. The rate of overdose deaths involving opioids (pain relievers and heroin) increased a staggering 200%. See: National Institutes of Health graph: National Overdose Deaths — Heroin Deaths. 2016. “More persons died from drug overdoses in the United States in 2014 than during any previous year on record. From 2000 to 2014 nearly half a million persons in the United States have died from drug overdoses. In 2014, there were approximately one and a half times more drug overdose deaths in the United States than deaths from motor vehicle crashes. Opioids, primarily prescription pain relievers and heroin, are the main drugs associated with overdose deaths. In 2014, opioids were involved in 28,647 deaths, or 61% of [a total of 47,055] drug overdose deaths; the rate of opioid overdoses has tripled since 2000. The 2014 data demonstrate that the United States’ opioid overdose epidemic includes two distinct but interrelated trends: a 15-year increase in overdose deaths involving prescription opioid pain relievers and a recent surge in illicit opioid overdose deaths, driven largely by heroin. Mr. President, with so many millions of addicts who need treatment, one billion dollars is a drop in the bucket. There aren’t enough inpatient beds or outpatient slots for even 1/8th of the surge in narcotic users. $25 billion is needed to construct 100,000 inpatient treatment beds and $10 billion is needed annually to provide another million people outpatient treatment. The heroin epidemic is in large part, a consequence of U.S. policy in Afghanistan. Under the Obama administration, efforts at eradicating Afghanistan’s opium crop ended in 2009. Numerous economic/ financial analyses concur that Afghanistan currently produces between 80% to 90% of the world’s opium and accounts for the bulk of global heroin manufacturing. The World Bank assessed that narcotics constitute the largest source of externally generated income for Afghans by a wide margin. As shown in the UN graph above, in 1999, opium poppies occupied 91,000 hectares. In 2000, the Taliban regime outlawed opium and within one year it was essentially eliminated down to 7,600 hectares in 2001. Since 2010, US heroin deaths shot up from 3,036 to 4,397 (2011) to 5,925 (2012) to 8,260 (2013) to 10,574 in 2014. The narcotics trade is closely linked with corruption wherever it occurs in the world. Why then, is the Obama White House Silent about Stemming the Flow of Heroin from Afghanistan? In 2014, the White House and RANDsaid that the US had 800,000 to 2.4 million heroin addicts. Drug addiction treatment requires many months, even years; and costs tens of thousands of dollars per person. The new funds will support less than 10% of those needing treatment, hardly enough to make a dent. Mr. President, someone in the administration ought to do the math! Overdose deaths and heroin users are at an all-time high in the United States. Between 2 and 9 of every thousand Americans (2-0.9% of the population) is currently using heroin. In Maine, 8% of babies are born “drug-affected”–a stratospheric rise from 178 babies in 2006 to 995 babies in fiscal 2015. A study in The New England Journal of Medicine (NEJM) found opiate-addicted babies in neonatal ICUs quadrupled between 2006 and 2013. Despite what you have heard, the cause of our current heroin epidemic is not as simple as doctors over-prescribing narcotics, or users switching to heroin when prescription drugs became more scarce and expensive. While nationally, heroin overdose deaths more than tripled from 1.0 per 100,000 in 2010 to 3.4 per 100,000 in 2014, both the sales of prescription narcotics and deaths from prescription narcotics held steady over the same period. What’s missing entirely from the discussions by the President and from the topics discussed at the National Prescription Drug Abuse and Heroin Summit is ANY mention of the increased flow of heroin into the U.S.
Afghanistan is where between 75% and 93% of the world’s illicit opium is grown each year, on 500,000 acres. The reason for the violent outrage is economic: all the people in Afghanistan rely on poppies for some or all of their income: the Taliban, as well as millions of everyday farmers and their families. Within Afghanistan it is the corrupt Afghan government at all levels, from the sub-districts up to Kabul who gain the most. Dr. Nass makes the case that the root cause of the current heroin epidemic is a massive increase in availability—huge amounts of relatively cheap heroin have been flooding into the US in the last few years, exceeding what can be sold in our large cities, and now finding its way into even the tiniest hamlets throughout the country. Without this influx from Afghanistan, she believes, there would be no epidemic. 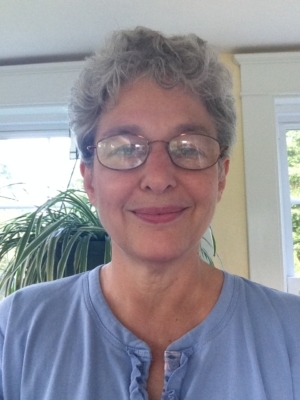 Her view is backed up by statistical data and by several academic experts in the field. 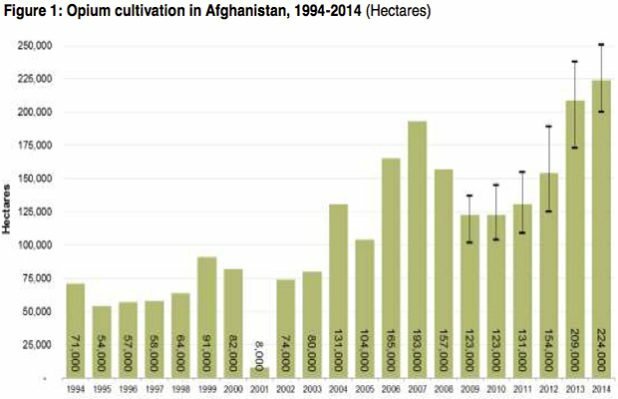 The National Institute on Drug Abuse data demonstrates that the US heroin epidemic really took off after 2009 after the Obama administration shifted gear on the U.S. poppy eradication policy which now targets only 10% of Afghan’s heroin harvest. Yet, neither the National Summit (2016) nor The New York Times (October 30, 2015) mention the influx of heroin from Afghanistan. “In the almost 15 years of continuous combat since the U.S. invasion of 2001, pacification efforts have failed to curtail the Taliban insurgency largely because the U.S. could not control the swelling surplus from the county’s heroin trade. As opium production surged from a minimal 180 tons to a monumental 8,200 in the first five years of U.S. occupation, Afghanistan’s soil seemed to have been sown with the dragon’s teeth of ancient Greek myth. Every poppy harvest yielded a new crop of teenaged fighters for the Taliban’s growing guerrilla army. 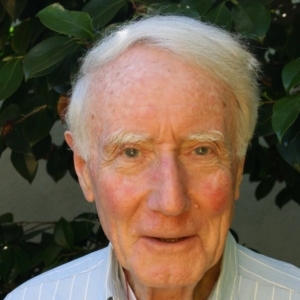 William Edstrom, a scientist and author of articles published in scientific journals, including Nature, the Journal of Biological Chemistry. 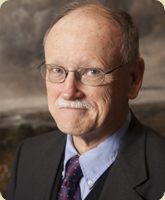 He co-authored Agents of Bioterrorism: Pathogens and Their Weaponization (2005) published by Columbia University Press. “Afghanistan is by far the number one producer of opium and heroin. Total worldwide opium production was 7,554 tons in 2014, of which 85% came from Afghanistan. The remaining 1,154 tons are primarily from Myanmar, Laos, Mexico, Thailand and Vietnam. Mexico produced 162 tons of opium in 2014…Heroin from Mexico cannot supply even 10% of US heroin demand. Yet the DEA claims most heroin in the US is from Mexico. In his highly informative, and very relevant article Afghanistan: Opium, the CIA and the Karzai Administration, posted on Voltaire Network (2010), he described an innovative proposal by the International Council on Security and Development (ICOS), formerly The Senlis Council that aimed at stemming the heroin supply from the illegal drug trade. Few Americans had ever heard of: “Poppy for Medicine” because the government adamantly opposed it. The New York Times reported about it once, in 2007, noting that the idea has attracted little attention. The [ICOS) council attributes this partially to the lobbying power of the religious right and law enforcement groups, both of which react with horror to any talk of legalization. “It’s almost theological, their opposition to our idea,” said Norine MacDonald, the council’s founder. 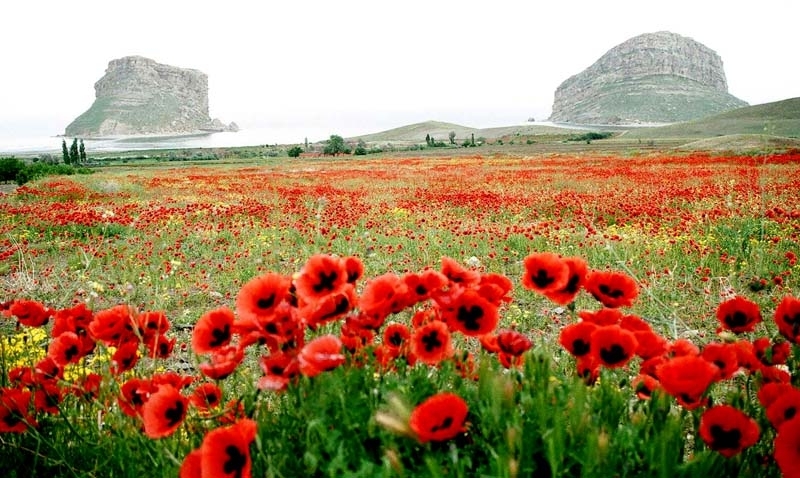 In 2008, the World Medical Association General Assembly adopted “Poppies for Medicine”. The proposal would establish a trial licensing program that would allow Afghan farmers to sell their opium legally for the production of much needed essential medicines such as morphine and codeine. These medicines are especially needed and unavailable in more than 150 poor countries. While this proposal would provide farmers with a profitable income, it would remove the enormous profitability from the chain of intermediaries that constitute the criminal drug trade. Urges governments to support a scientific pilot project to investigate whether certain areas of Afghanistan could provide the right conditions for the strictly controlled production of morphine and diamorphine for medical purposes. “Poppies for Medicine” would provide farmers with a profitable income, it would remove the enormous profitability from the chain of intermediaries that constitute the criminal drug trade. The proposal received the support of the European Parliament and Canada. But the proposal was unacceptable to the United States where it came under heavy attack, chiefly on the grounds that it might well lead to an increase in opium production. Read also, Poppy for Medicine: An Essential Part of a Balanced Economic Development Solution for Afghanistan’s Illegal Opium Economy in Berkeley Electronic Press, 2010. The article was written by by Romesh Bhattacharji, a specialist in narcotics and trans-border trafﬁcking who was Narcotics Commissioner of India between 1996 and 2001, then Chief Commissioner of Customs, 2001 – 2003; and Jorrit Kamminga, Director of Policy Research at the ICOS. Posted by Vera Sharav | Sunday, April 24, 2016 |	Categorized Current Controversies | Tagged Afghanistan Heroin, Heroin overdose, Heroin deaths, Afghanistan, Obama silent, "Poppy for Medicine", Alfred McCoy, Peter Dale Scott, opium harvest Bookmark the permalink.